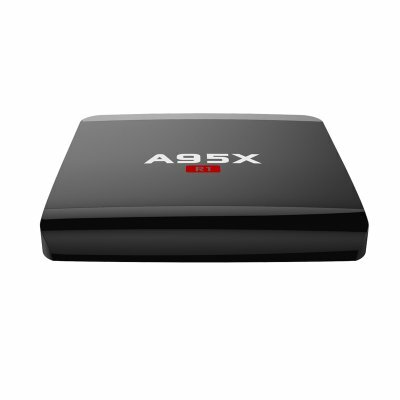 Successfully Added A95X R1 S905W Quad-core Smart TV Box Android ROM 8GB RAM 1GB HDMI Wifi 2.4G Streaming Media Player Black UK to your Shopping Cart. S905W is high performance Quad-core application processor for smart TV-Box. Especially it is a high-integration and cost efficient SOC for 4k 10-bit H.265/H.264/VP9 TV-Box. The penta-core GPU including one geometry processors (GP) and dual pixel processors(PP) and dual core 2D GPU engine,support smoothly high-resolution display and mainstream game. H.264 can achieve standard definition digital image transmission at s speed less than 1Mbps due to algorithm optimization,while H.265 can achieve ordinary high-definition audio and video transmission at speed of 1-2Mbps with 50% bandwidth decrease. Access possibly every TV show ever made on demand anytime you want. Awesome home theater and gaming experiences.